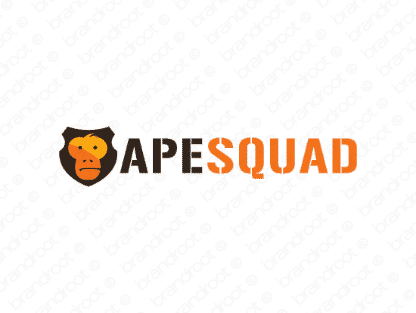 Brand apesquad is for sale on Brandroot.com! This distinctive combination of "ape" and "squad" combines apelike strength with the unbeatable power of teamwork. Apesquad is bold and brash with a fun visual, perfect for a range of brands from fitness and apparel to multimedia. You will have full ownership and rights to Apesquad.com. One of our professional Brandroot representatives will contact you and walk you through the entire transfer process.